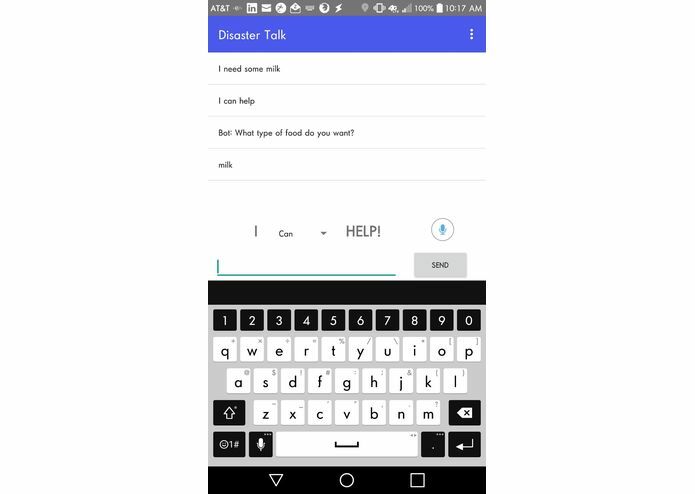 Built with an android app, which connects a helper and person who needs help. Uses Amazon webservices for natural language processing which takes queries from the user of what he wants: food, clothing, or any help in general, whom to help based on geo locations. Was able to implement most of the integrations. Proud of my idea to help others. I find it cool. voice input for ease of use. health monitoring of children and old sick people in the neighbourhood.